Absolique Scalp Tonique is a special formula that acts as a scalp stimulator to prepare the scalp for topical Natural Hair Growth products following Absolique Scalp Cleanser. Safely cleaning the scalp and stimulating the hair follicle helps topical hair growth products for hair loss and hair thinning absorb to reach the target site down in the scalp dermis which delivers more effective results. Absolique Scalp Tonique is not used as hair growth products on its own. Absolique Scalp Tonique was designed to assist in the effective delivery of topical hair growth products. Performing Scalp Brush Therapy, Scalp Cleansing with Absolique Scalp Cleanser, followed by Absolique Scalp Tonique assists in the effective absorption of topical Natural Hair Growth products whilst maintaining scalp balance and protecting the intrinsic nature of scalp skin without the need for harmful ingredients. Absolique Scalp Tonique Instructions: Shake before use as ingredients may settle. Apply Absolique Scalp Tonique directly to scalp in treatment area which will be the entire scalp for diffuse hair thinning or the front 1/3 triangle from hairline to crown and down to the sides including recessions for pattern thinning hair. Absolique Scalp Tonique it is active as soon as you feel the cold effect on scalp skin and can then be rinsed off scalp and hair. The cold effect is a timer telling you the follicle is open and you need to move fast to get natural hair growth products on quickly. The cold effect timer lasts for @ 10 minutes. Absolique Scalp Tonique Ingredients: Water (Aqua), Polysorbate-20, Aesculus hippocastanum (Horse Chestnut) Seed Extract, Ethanol, Sorbitan Monooleate Derivative, Menthol, Glycerin, Retinol Palmitate, Tocopheryl Acetate, Mentha piperita (Peppermint) Oil, Xanthan Gum, DMDM Hydantoin. Absolique Scalp Tonique $45 – 250ml lasts up to 4 months used every 2nd day or 3 times a week and is available only from Absolique Hair Health Clinic. 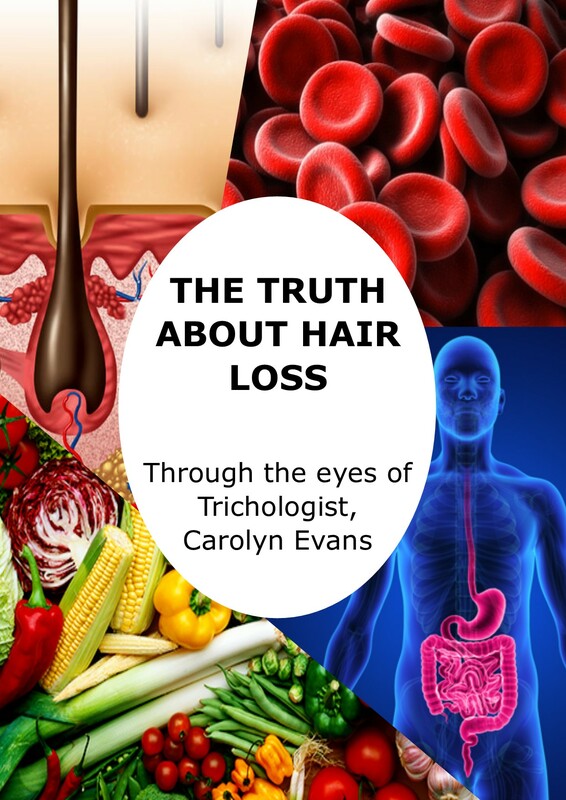 Email questions to Absolique Trichologist Carolyn Evans-Frost info@absolique.com.au or call our friendly reception team on 02 8014 6916. Remember correct diagnosis is the first step to chose Hair Growth products that will work best for your individual hair loss or hair thinning concern. 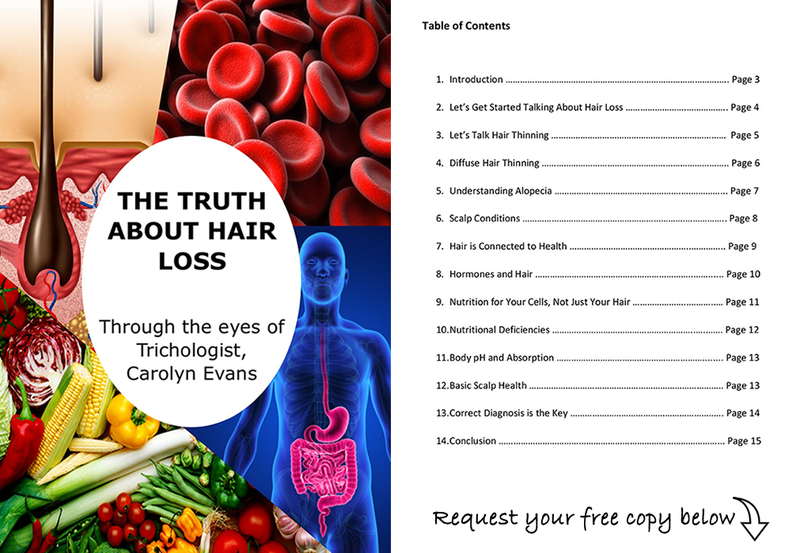 The best Hair loss treatments should address all symptoms and causes in combination therapy. Use Absolique Scalp Tonique Before Topical Hair Growth Products.